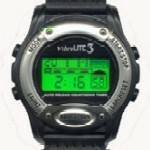 The VibraLite3 Vibration Watch offers the same options as the VibraLite2 Vibration Watch, but with an automatic reset countdown timer and 4 different styles to choose from. 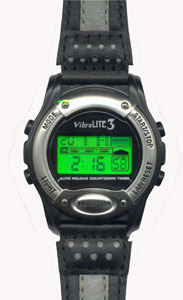 This unique watch can be set in hours, minutes, or seconds and used as an alarm to wake you, to remind you to take your medication, as an appointment reminder, time presentations, assist you with time management, help you stay focus, and much much more, with three alert options: vibration, chime, or countdown timer. Please click on "more pictures" above to view the colors/styles available.